The Crown Point Library and Winfield Branch Library offer computers for free use by the public. Users must have a library card and PIN or may request a one-time only guest pass. All users must abide by the libraries’ Acceptable and Computer Use policies. The computers have time limit restrictions and are filtered. Time limits are 1 hour, with the option of continuing in 15 minute intervals if computers are available. Maximum daily time per user is 2.5 hours. Printing from library computers requires users to have credit on their library card accounts. Money can be added to accounts at a vend unit on the 2nd floor (cash only) or cash, debit or credit ($1.00 minimum) cards may be used to add money at the 1st floor Circulation Desk. The fee is $.10 per page for black and white copies, and $.25 per page for color copies. One-on-One computer instruction is available for basic Internet searching, setting up an email account, and e-book assistance. Please call the Reference Desk at (219) 306-4593 for more information. We can attempt to borrow books from other libraries when we do not own a particular title. Please call the Reference Desk at (219) 306-4593 or email crownpointill@crownpointlibrary.org for more details. This service is for Crown Point and Winfield Library residents (Center or Winfield townships) only. In the Reference Department of the Crown Point Library there are (3) rooms that seat up to 6 people for small discussion and study. Please call the Reference Desk at (219) 306-4593 to reserve a room. 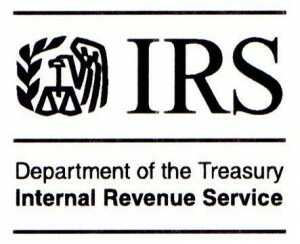 Form 1040 with various schedules included and the 1040 Instruction Booklet. OR CALL 1-800-829-3676 to order tax products to be delivered by mail to you.